In this post, I provide a brief summary of the collectives’ history and then describe how police officers talk about their relationship to the collectives. The idea of the collectives is a complicated, hyper-sensationalized, and politically charged one. By and large the collectives’ support the Chavista governments and the Bolivarian Revolution. They are organized in poor sectors of Caracas, mostly in the Western barrios of Catia. And some collectives vociferously protect what they see as their right to be armed. All of these factors fuel hyperbolic accounts of them. The topic of the collectives is a delicate one specifically due to this hyperbole, but also because of the social relations structured by race, class, and geography in which they are embedded. Identifying “the collectives” as the main catalyst of current violence, as some news sources have done, draws upon and reproduces a long-standing fear that permeates the middle and upper classes of the barrios, inhabited by the poorer darker-skinned residents of the city. A representative of the Tupamaros, one of the most recognized collectives in Caracas, even recently critiqued the opposition for utilizing the collectives as scapegoats, allowing them to displace the violence generated by middle and upper-class protestors onto the barrios. Due to the hyperbole and conjecture that surrounds them, I want to situate these groups within the historical moment in which they arose before discussing PNB officers’ opinions of them. Starting in the late 1970s some barrio residents began organizing collectives in the lower-class neighborhoods where they lived. The collectives engaged in a variety of activities (educational, social justice, etc. ), but one their principal objectives was to fulfill policing functions within their own communities. Mostly male barrio residents organized into armed groups to protect their communities from drug trafficking and the police and military, who entered poor neighborhoods and systematically killed or abused those suspected of being an enemy of the state. Thus, they were born as a response to the violence employed by the liberal democratic state against its own citizens, catalyzed by the state’s abuse of the coercive force that it “legitimately” exerts (for an excellent history see Ciccariello- Maher, 2013). Under the Chavista governments, the relationship between the collectives and the state has taken a different turn. 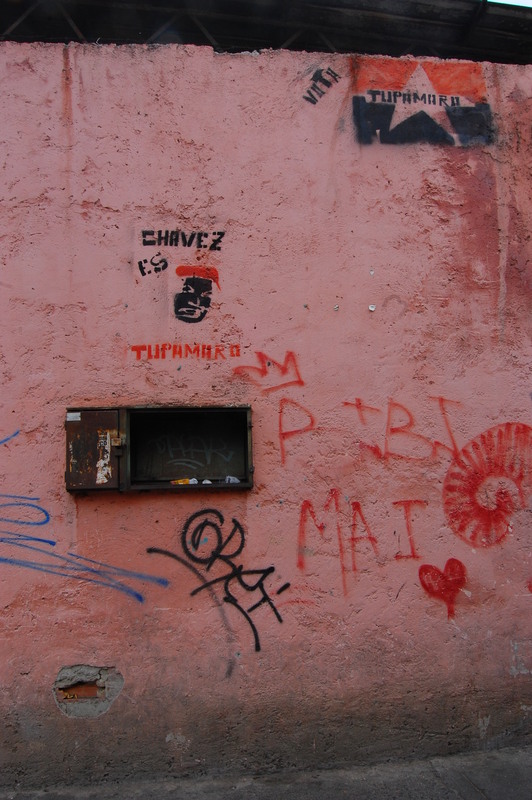 Hugo Chávez himself had a love/hate relationship with the collectives, sometimes calling them the vanguard of the revolution only to later call for their members’ arrest. But the actual relationship between state actors and collective members is quite unclear. And, in the absence of concrete information, rumors, speculation, unfounded stories about these groups abound. 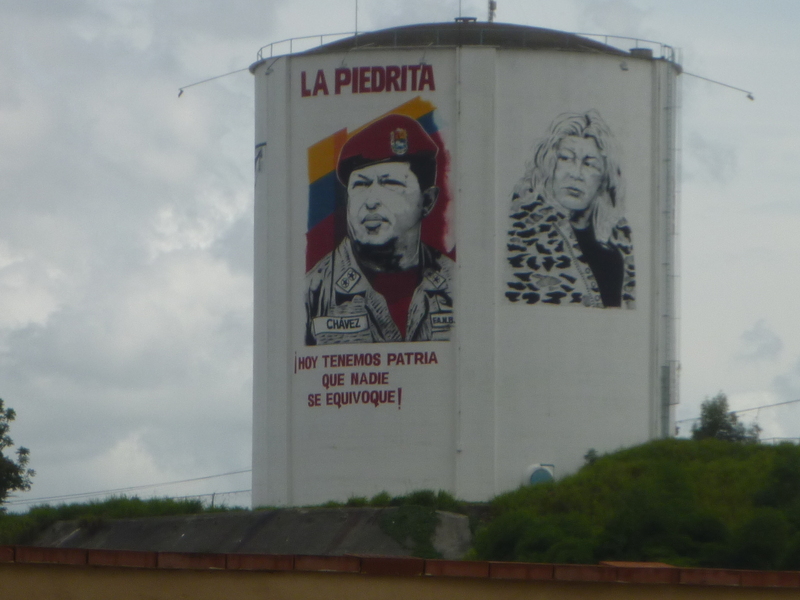 Living and working in the western section of Caracas, I have heard some describe the collectives as completely autonomous from the state, willing to defend it as long as government leaders support what they consider to be the precepts of the Bolivarian Revolution. Others report that the government has become an active supporter of the collectives—arming them, funding them, and even founding new ones across the country. However, while there is a perception by some that the government supports the collectives, almost everyone I know seems to agree that the relationship between the police and the collectives remains contentious and antagonistic. Thus, even though the police are a part of the state, when some suggest that “the state” or “the government” support the collectives this does not imply that all state institutions actually endorse them. Officers’ accounts of the collectives can be more or less summed up as follows: Though collectives are not regulated nor directed by state actors, they are protected by them, as is their (according to officers illegitimate) right to be armed. Almost all of the police officers I know who work in popular sectors of the city have a story about arresting someone who was then later released because they were a collective member. A popular story among PNB officers involves the nephew of Cilia Flores, the First Lady and former president of the National Assembly. The story, of which I have heard multiple versions from multiple officers, narrates an attempt PNB officers made to arrest Flores’ nephew, himself a member of a collective, for carrying an illegal and unregistered weapon. According to the story, efforts by officers to “do their job” ended in 11 PNB officers going to jail and the nephew being released less than 24 hours later, picked up from the police station by members of his collective. While this story could well be apocryphal it provides insight into how officers’ perceive their relation to state actors vis-à-vis the collectives. Indeed, far from working in collaboration with the collectives, police officers see themselves as being supplanted by them. And this is not because the collectives have succeeded in defeating the state, but rather because they have become increasingly connected to it. Curious as to what officers meant when they used the word “the collectives,” I asked an officer one day who these collectives were. He replied, “the collectives are groups organized by the state…to counteract any kind of situation that represents a danger to the government, like to counteract the protests for example.” When I asked another officer if he had seen collective members at the protests he replied: “The collectives have more control in the East (where most of the protests have occurred) than we do…they are there to monitor the situation…and we are prohibited from touching them or doing anything to them.” While drinking beers one day with Eligio, an officer who was currently on an easily obtainable “medical leave,” I asked him when he planned on going back to work. He asked me why he would consider going back when the protests were still going on, where he would just spend the entire day enduring the abuse of protestors or avoiding conflicts with the collectives to keep from going to jail. Beyond criticizing the government for protecting the collectives, officers claim that government actors have handed policing functions over to them as well. From the perspective of the police, the current protests reaffirm what was already a commonly held belief within the PNB: The war that was launched by state security forces decades ago that sparked the organization of armed civilian groups is now being won by the latter. Like the Flores story, these comments, even if embellished or unsubstantiated, make it hard to believe that the police would view the collectives as potential allies. Indeed, far from working in collaboration with the collectives, police officers see themselves as being supplanted by them. And this is not because the collectives have succeeded in defeating the state, but rather because they have become increasingly connected to it. Officers’ stories about the collectives can be categorized under what sociologist Javier Auyero has called the gray zone of state politics: the space wherein distinctions between state and non-state actors become blurred, where the lines between the legitimate and illegitimate deployment of coercive force bleed into one another. There is disagreement between officers over whether or not the collectives have, thus far, actually intervened in the protests. But officers generally agree upon what their presence represents to them: a volatile and uncontrollable variable that could set off a chain of violence in which officers themselves would become embroiled and would be responsible for controlling. The lack of consensus among police officers as to what role, if any, the collectives have played in the protests further evidences just how difficult this would be to ascertain. But aside from creating an air of certainty where little exists, news stories that rely upon a narrative of collaboration mischaracterize a complex relationship, one that is most often described by officers as based not in consensus but competition. → Pacifying Rio’s Favelas: innovation, adaptation or continuity?